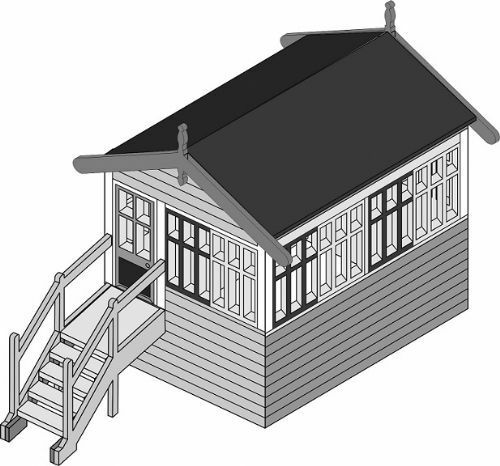 This Laser cut kit is based on a Lynton & Barnstaple Railway signal box, but could be used on a wide variety of layouts. Its small dimensions also allow this to become a platform signal box as well as a stand alone version. As with all our laser cut signal boxes you can have a name board of your choice made up for no extra charge, simply fill in the box with the name and we will do the rest.